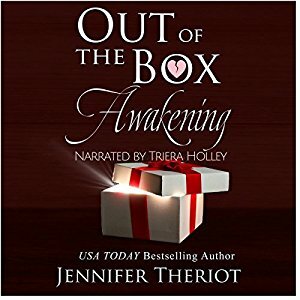 Where does Out of the Box Awakening rank among all the audiobooks you’ve listened to so far? It ranks very high up as I also once upon a time read the book. But the audible just brought the story to life for me. What was one of the most memorable moments of Out of the Box Awakening? When Olivia gets the call from Todd that his grammy has passed. Which character – as performed by Triera Holley – was your favorite? There were various parts that had me laughing out loud. And some parts that made me want to whoop Olivia's ex husbands tush.